Enjoy the freedom of a travel mobility scooter that is as portable as it is capable. The Sterling Sapphire 2 is a folding mobility scooter packed with features and yet remarkably portable, separating into just five easy to handle parts. Disassembly couldn’t be easier. 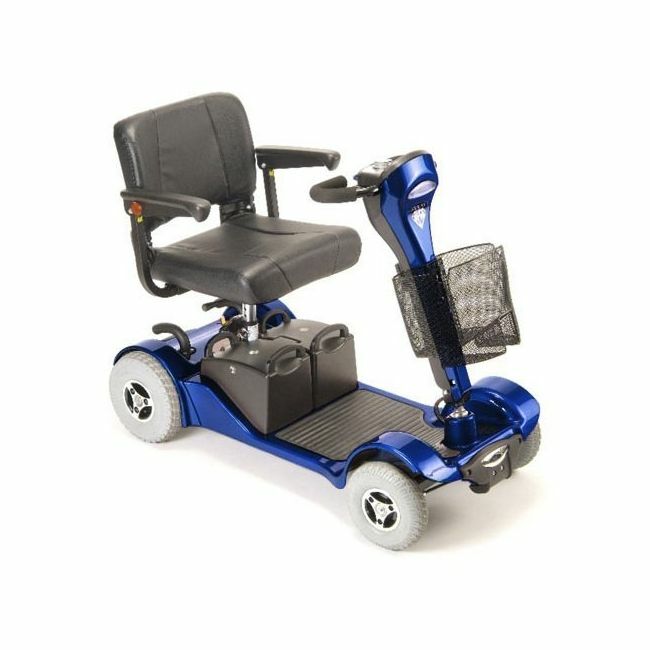 Simply lift away the seat and the batteries using the handles provided, and separate the base of the scooter using the lever at the rear. There are no cables or plugs to worry about, so it can be put back together just as quickly. The delta tiller steering system allows maximum control with minimum effort. Ideal if you suffer from arthritis or lack strength in your arms or hands. The steering is also angle adjustable, so you’ll always be able to find the best possible driving position. Previously only available in grey, we’re now delighted to offer this scooter in either red or blue.